To state the bleeding obvious, winter is here and geez is it bloody cold!!! Seriously, this is the coldest winter I have had since 1997 in France – that was cold. I think the big reason for the ‘coldicity’ (just made a word up) is that autumn was also cold, so I guess it is ‘cold2’. Now with this coldicity upon us one of the great cures is red wine, and this wine I think may just be that cure, that saviour if you will. 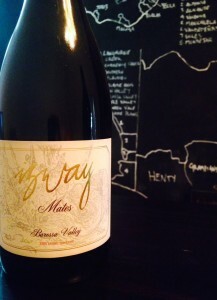 The Izway “Mates” Grenache/Mataro 2012 from the Barossa Valley is exactly the wine that is made for cold weather. Why you ask? Just is, is the short answer. But that will not suffice. The nose has layers of complex aromas of autumnal earth – think wet tilled earth, master stock and rich dark fruit. The palate again has complex and rich notes of mushroom soy, spice, master stock, and rich and velvety dark fruit. It’s also poring#BTG in the wine bar right now!!! Aucun soufre, Kein Schwefel, Senza zolfo. 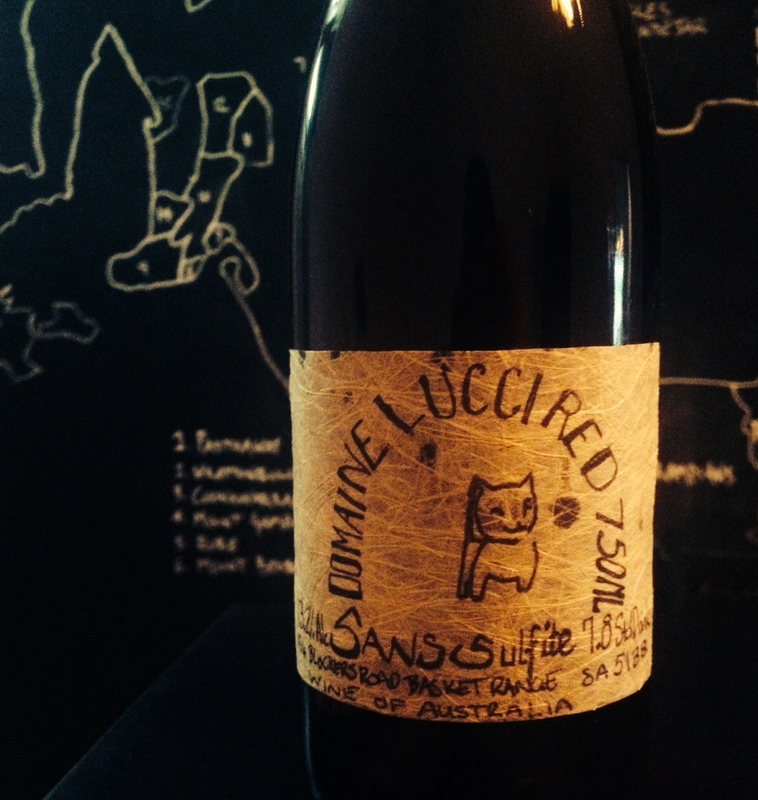 However you say it, Sulfur free wine is hot and so now. NOW. Yes, No added sulfur is all the buzz right now with wines all about freshness and light drinkability all without the next day sulfur driven headache (no guarantees after the 4th bottle though). The Domaine Lucci Red 2015 is all of that and more without the stink and falling over trick a lot of no added sulfur wines can deliver. This is a real wine. The nose starts out with an almost unfermented grape juice waft, but after a while opens up with a very savoury, almost tapenady aroma. The palate opens up with bright cassis and earth and like the nose, leans more to the savoury path to wards the end of the glass. Spring. Its the time for new beginnings. But it’s July and cold. Alas it is but this time of the year is Spring for new wine releases and new vintages. And bygolly are there some absolutely ripping new releases right now. 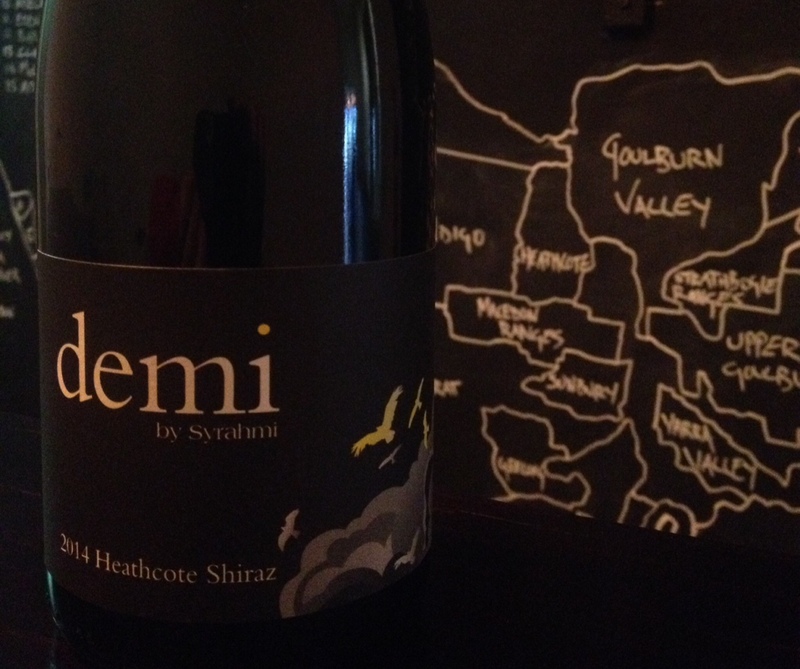 Words cannot do justice the respect I have for Adam Fosters touch with the parcels of fruit he plays with, and his latest offering of his Demi Shiraz is quite simply faultless. The nose opens with intense and concentrated blackberry notes with black olives following the longer in the glass. The palate opens up with spice and masterstock flavours – think brown spice, soy sauce and beef oxo. Again, the longer in the glass concentrated blackberry and a savoury black olive tapenade flavour come through. Just awesome and drink with mushroom and bloody beef dishes and $28 always.